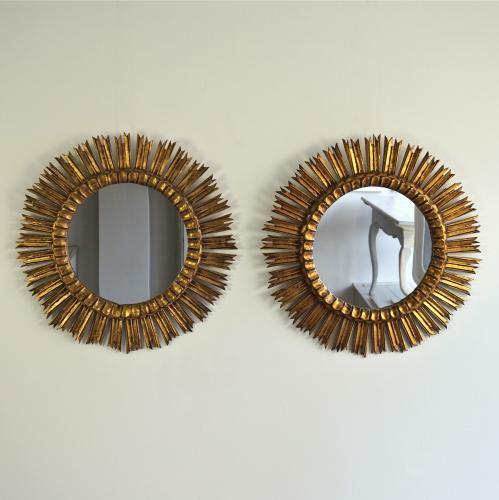 An extremely rare pair of large wooden vintage sunburst mirrors in original gilt with beautiful time worn patina. Spanich circa 1950. Glass centre 34cm in diameter.